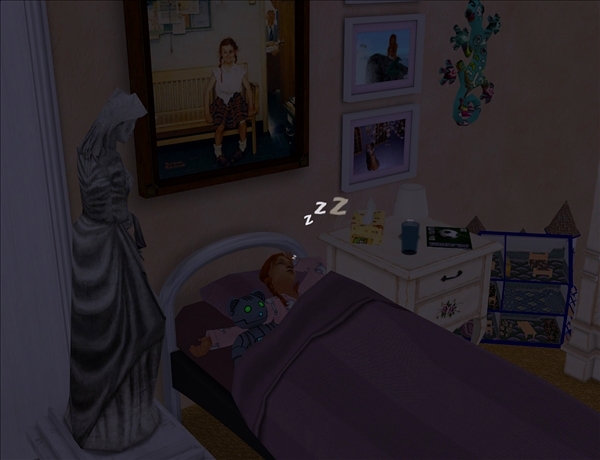 I suppose it's a little brain-breaky for the girls to have the fairy pictures of their adult selves on their walls, but a lot of little girls are drawn to princesses that look the most like them (which is why character diversity is so important!) Maybe Cinderella being blonde and the little mermaid being a redhead are partly responsible for Nina and Dina growing up to be the way they are. If I haven't added you already, you should add me. ShadySentinel should be it. I love how your pictures are always full of details! So, will the new chapter be a flashback? And... that robot teddy bear is amazing! Where did you get it? You're not nosey, you helped me. Thank you!